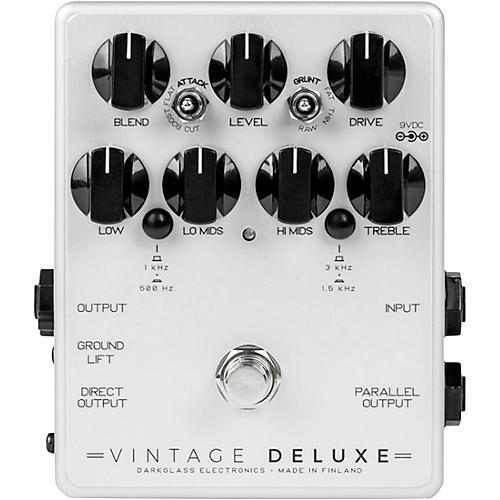 The upgraded version of the Darkglass Vintage Deluxe features the warm, tube-like tones of the Microtubes Vintage and adds a 4-band active EQ, Low and High mid frequency switch, parallel output and balanced line driver. It delivers the natural dynamic response and organic compression of classic tube amps and tape machines, fitting four decades of legendary tones into a package that will fit in your gig bag. A balanced version of the 1/4” output, useful for running into PA’s or studio mixing consoles.